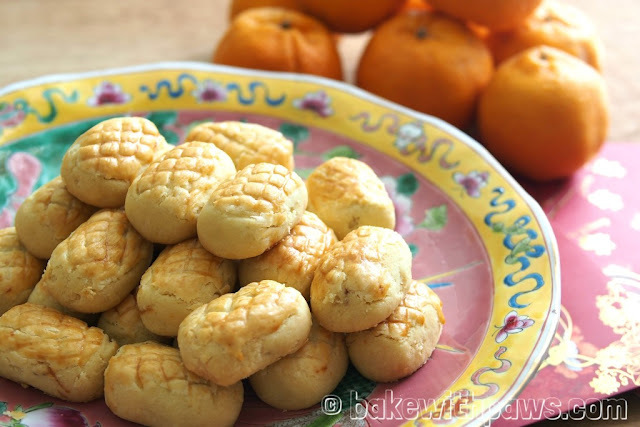 I baked another round of Pineapple Tarts. This time round I made it into a different shape as my hubby prefers the pineapple filling to be completely covered. 4. Divide the dough into 11g each. Gently flatten the dough and place the pineapple jam ball in the middle then cover the dough. Roll into a round or rod shapes. Make design with butter knife. 5. 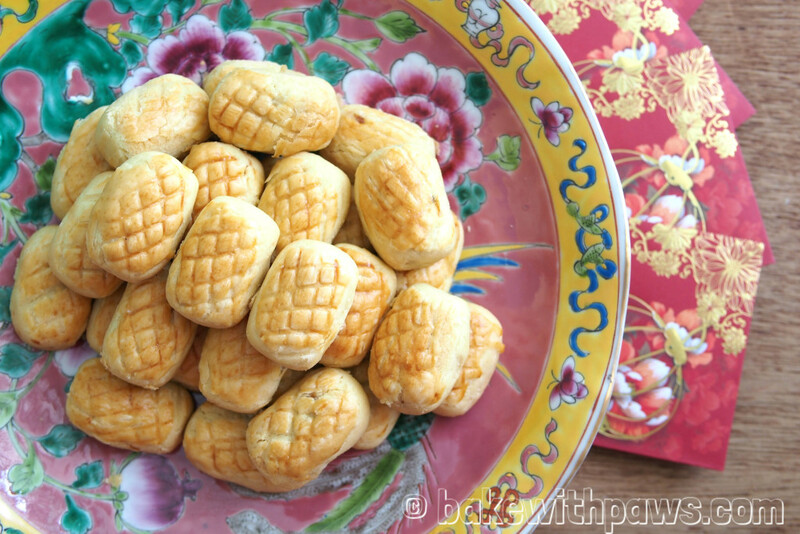 Place pineapple tart on a lined baking sheet and brush with egg wash.
6. Bake in preheated oven at 180 C for 30 minutes or till golden brown. 7. Cool the pineapple rolls completely before storing in the air tight container.